It's a little loose, so I worry about keeping it in my pocket. It would be very easy to slice a finger on it if opened. Nice diameter for cutting larger ring gauge cigars. It's an excellent way to easily cut your cigar. It's got a low profile and easy to take with you. Sharp. Lightweight and easy to use. This one is light and went in my golf bag. Good utility cutter. just needed one that is sharp and lightweight. For the money this is a great cutter--need one for the large ring cigars and this one does the job. Love it and would tell you to buy it! big for the big one! 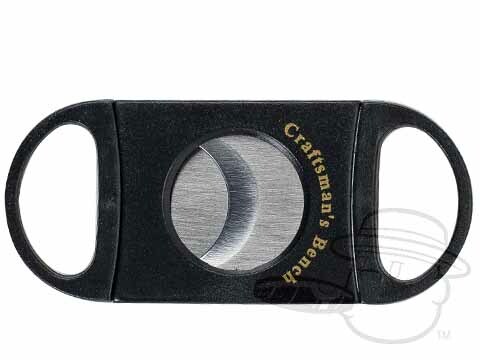 Craftsman'S Bench 64-Ring Double Blade Cigar Cutter is rated 3.4 out of 5 based on 14 customer ratings.